Photoinduced charge transfer constitutes the scientific basis of photography electrophotography and many biological processes. In addition the science of charge photogeneration and transport in organic materials will be the basis of future generations of optoelectronic devices. 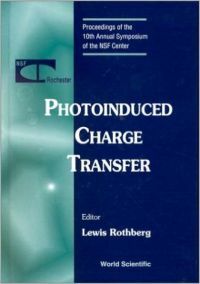 This volume summarizes the state of the art in photoinduced charge transfer. Looks like the book you were looking for is currently not in stock with us. Please leave us your email and phone number. We will get back to you as soon as it's available.